Minnesota has an opportunity to stop an unnecessary and ill-advised tar sands crude oil pipeline project in our state. Come to a Teach-In to learn about the project and what you can do to help stop it. The Teach-In is today, Thursday, June 29th, at Walker Community United Methodist Church, 3104 16th Ave. S., Minneapolis. Doors open at 5:30 p.m. Here is the Facebook page for the event. Enbridge, a large energy transportation company, has several tar sands oil pipelines running through Minnesota. It has proposed abandoning an existing pipeline (Line 3) in the ground and installing a new and larger pipeline, including a reroute. 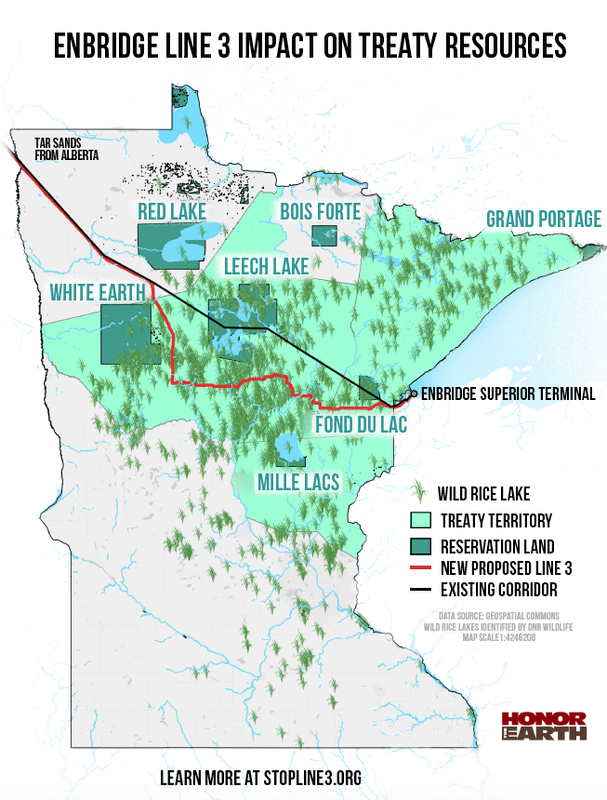 The proposed new route would cut right through the Mississippi Headwaters region as well as prime wild ricing areas and violate treaty rights. For more, this blog has a separate page dedicated to Line 3. The event is being co-sponsored by Honor the Earth, Healing Minnesota Stories, the Facilitating Racial Equity Collaborative, and the Sierra Club North Star Chapter.